Make these delicious enchiladas without even turning on your oven. A quick and hearty meal. Saute the chopped onion in the oil. 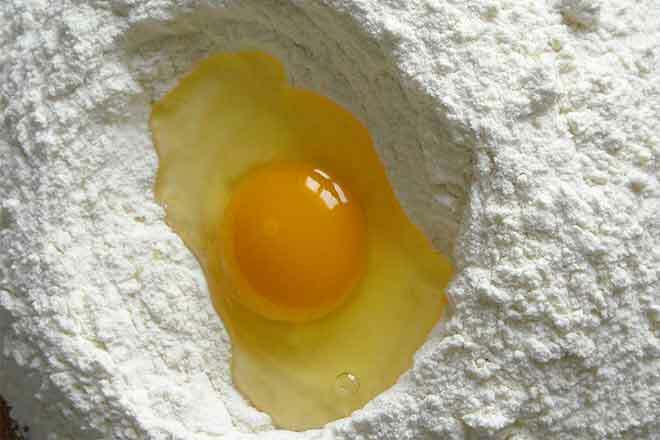 Add the flour and cook for 1 minute. Add the chilies, chicken broth, chicken and garlic powder. Simmer uncovered for 5 minutes. Mix the cornstarch into about 1/4 cup of cold water until all the lumps are gone. Add to the chile and chicken mixture. Cook for 2 more minutes. Tear the tortillas into strips and divide into thirds. Add them to the pan and cook until they are hot, stirring with a spoon from time to time. Sprinkle the cheese over the enchiladas. Cover the pan and cook until the cheese has melted. Serve immediately.